Our team keeps the heart of Maison Armance beating. 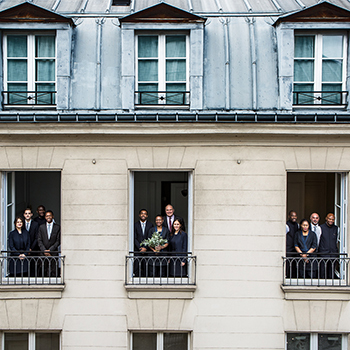 “Forget everything you know about living in a hotel, an apartment or a house, because staying at Maison Armance is all three at once, in the heart of Paris” hotel director, Emmanuel Gamez advises us. In fact the new addition to the Esprit de France collection is highly secluded. Although diffcult to notice from the street, the hotel will know who to expect and when. A vehicle can be sent to collect guests from the railway stations or airports and drive them to the hotel at 5, rue Cambon. The prevailing ambience at Maison Armance is intimacy. Intimacy in-line with a 20-room 4 stars hotel, with expert staf who can establish a rapport with guests and put them perfectly at ease, which is an essential part of Esprit de France’s core philosophy. The hotel is not intended to be just about a room, as comfortable as it may be; it is intended as a complete home and to be used as such.